Make yourself at home in one of the 82 guestrooms featuring minibars and flat-screen televisions. Complimentary wireless Internet access is available to keep you connected. Bathrooms have complimentary toiletries and hair dryers. Conveniences include phones, as well as desks and coffee/tea makers. With a stay at Best Western Malmo Arena Hotel in Malmo (Vaster), you'll be a 1-minute drive from Malmo Arena and 7 minutes from Oresund Bridge. 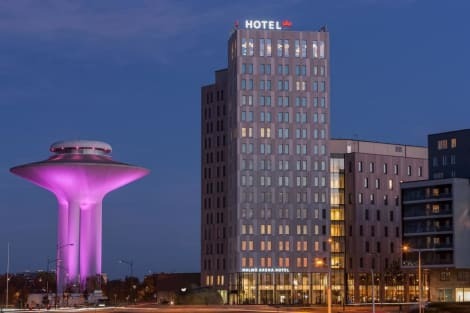 This 4-star hotel is 0.1 mi (0.1 km) from Emporia and 2.1 mi (3.4 km) from Malmo Isstadion.